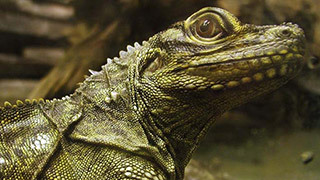 Lizards are reptiles that are closely related to snakes. The group of lizards consists of more than 6,000 different species that are distributed across all continents except Antarctica. Lizards are known to have a tail that comes off quite easily, they use this as a method to escape from predators. The tail slowly grows back over a couple of weeks.